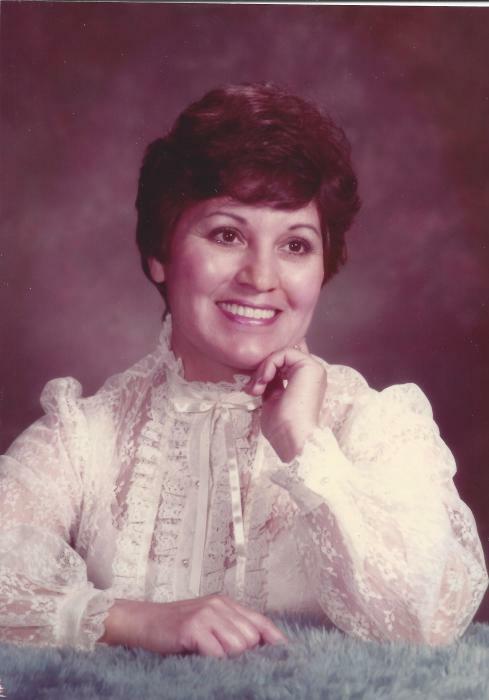 Mary Ellen Rodriguez of Nampa passed away in her home on November 28, 2018. She fought very hard to recover from a debilitating injury and eventually died of natural causes. Mary Ellen was born in Torrington, Wyoming to George E. Tallabas and Mary A. Marquez on June 30, 1934. Mary graduated from Torrington high school. After graduation Mary got her first job with a local bank. Mary first met David in 1951 at a dance in Scottsbluff, Nebraska. They got married September 21, 1956 in Torrington, Wyoming. They moved to Idaho in 1959, settled in Nampa, where Mary became a devout member of the St. Paul’s Catholic community. Mary worked in clerical/administrative positions at West Valley Hospital, and First Security Bank. She later began work at Idaho Power where she eventually retired after 25 years. While working, she continued her education by attending business classes in Boise and liberal arts classes at Northwest Nazarene College. Upon retiring, Mary became an ardent golfer and took every opportunity to do so. She loved spending time with her dear friends walking the greenbelt and sharing memories and ideas with her friends through scrapbooking. Mary’s faith, kindness, love of family and caring friends, courage, compassion, humor, and joy in life are an inspiration to those who knew her and loved her as we do. She parented, encouraged, counseled, and supported our family unconditionally. She was an example for us and left a legacy of love, joy, and faith for us to follow. Mary Ellen is preceded in death by her parents, three brothers; George Tallabas Jr. of Caldwell, Donald M. Tallabas (Christine) of Payette, and Ernesto M. Tallabas (Mela G.); three sisters; Margaret J. Lopez (Jake) of Nampa, Cora Morales of Seattle, WA., Beatrice Mendiola (Frank) of Caldwell. Mary Ellen is survived by her husband of 61 years, David, her son, Michael D. Rodriguez of Powell Butte, Oregon, and a granddaughter Morgan M. Price from Chattanooga, TN. ; one brother, Arthur E. Tallabas (Terrie) of Oregon; one sister, Pat Cheatham (Dixie) of Kuna, 5 nieces; Gloria Lopez of Nampa, Hilda Nichols of Boise, Gerrie Tallabas of Caldwell, Diane Shaul of Meridian, Shelly Tallabas, CA, and 8 nephews; Frank Mendiola Jr. of Caldwell, George Mendiola of Nampa, George Tallabas III of Caldwell, Robert Mendiola of Caldwell, Kyle Tallabas of Powell Butte, OR, Randy Lopez of Nampa, Greg Tallabas of Riverton, Wyo., and Troy Tallabas of Las Vegas, NV., many more nieces, nephews, and also many dear and loving cousins from near and far. Our family wishes to extend our heartfelt gratitude to Horizon Hospice personnel for their professional and caring services. We also want to express our sincere thanks to all who visited Mary, for the food, flowers, cards, and all who cared enough to call her a friend. A public viewing and Rosary will be at 6 pm, Wednesday, December 5th at Nampa Funeral Home, 415 12th Ave. So., in Nampa. The funeral mass will be at 11 am, Thursday, December. 6th at St. Paul’s Catholic Center, 510 W. Roosevelt Ave. in Nampa. Burial services at the Idaho State Veteran’s Cemetery, 10100 N. Horseshoe Bend Road in Boise, Idaho, will be held at a later date.